To start off the year, we are publishing our first interview for the season with Jamie Siminoff, the CEO of Los Angeles-based Unsubscribe.com, an online service which helps you unsubscribe from unwanted newsletters and email lists. Jamie tells us the interesting story behind how the company started plus how the company managed to quickly land investor interest. Unsubscribe.com is backed by $2.1M in funding from Charles River Ventures, First Round Capital, DFJ Frontier, and angel investors. Jamie, thanks. Tell us the story behind how the firm started? Jamie Siminoff: Basically, it was myself, Will Schroter, and Josh Roth. Will had this idea about unsubscriptions, and formulating an idea around creating a way to unsubscribe people from newsletters, and he started talking to me about it. I had just sold my last company, Phonetag, and was starting to look at doing new things. I had been doing some angel investing, and incubating several projects. I thought the idea was in interesting, and we started talking about buying the domain Unsubscribe.com. So, we put something together, and put in some money, and literally the next day I was out to breakfast with Josh Roth, the former CTO of Rent.com and NTI Group, and Josh was also looking for something to do. I knew Josh from a bunch of different things in the tech community, and liked him, and Will also told him about the idea. He loved it, so the three of us threw this thing together. It ended up gaining momentum, so I decided to come into Unsubscribe.com. I had just ended up finishing my tour of duty on September 10th, when the lockup ended for my last company. We raised $2.1M with Charles River Ventures as the lead, with First Round Capital, DFJ Frontier, and a number of angels participating. We're now off to the races, looking to build something that was somewhat of a feature and fun project into a real business. What is the value proposition behind the service? Jamie Siminoff: You have to look at the unsubscribe issue. As spam started to evolve in the late 90's and in the 2000's, it was just a very light problem. Not everyone had a spam filter, and lots of companies didn't have a spam filter in place until 2003, 2004, or 2005. Now, spam is a solved problem--most people do not see spam, and most people do not see that spam as it goes to a different place as it's sucked out of their mailbox. However, the problem now is the growth of graymail, or as some call it, bacon. It's not spam, it's legitimate sender mail, but you're getting so much of it you're not able to deal with it. The only way to deal with it is to unsubscribe when you receive a message, which takes time and energy. What lots of people do instead, is they use the spam button or delete button in their email platform. The problem with using that, is it's now spam--and it will not create a spam category for that email. They'll just keep getting it. You can use the delete button, but that just gets rid of that message and not the next one. What you really need, is an unsubscribe button. That's what the business is built around--it's Spam 2.0 which needs to be dealt with, with all of this graymail. We're looking to be the counter-balance to graymail, which is growing multiple times every year in size, and becoming a real issue in people's inboxes. I understand you managed to get funding through interest from a blog post? Jamie Siminoff: Fred Wilson is a good friend of mine. Fred had been blog posting about this problem, about how he spent a whole day getting off of email lists he was on. The other caveat was, sometimes things you try to get you off of a list actually puts you on more spam lists. We were looking to help deal with that issue, and also protect people from the bad unsubscribes. We're as much as a police officer as much as a productivity service. Anyway, as we were playing with the product, and messing around with it, we gave it to Fred to try out. I told him it was something I'd been working on, and not to show it to anyone, and he told us it was the best thing he'd seen in ten years. Fred Wilson has a pretty good track record on investments he's done in the web space. This was more from the user space as one of the best things to help him in his digital life, and Fred just loved it, so he wrote a blog post, after asking us if he could blog about it. Because he blogged about it, and was well regarded among the venture capital community, tech people, and early adopters, we were really catapulted into the public mainstream. What are you doing with that funding? Jamie Siminoff: It's now infrastructure building. We came out with it a little earlier than we would have wanted, because Fred wanted to blog about it. We wanted to take that opportunity when it was presented. But, we would have wanted to have built more technology before publicly coming out with the service. We're now heads down, hacking away at building more technology and more automation, and better pieces into our back end. We're hoping to become more public in Q2 of next year. Because of that, we've sort of quieted down a little bit, since we already have a fairly substantial user base, which is giving us a lot of data. Paid users are great, but it's not our number one focus right now. It's to build a better product. Before we really start to push the product, we'd like to get a little more foundation built on it. What is the ultimate business model behind a service like this? 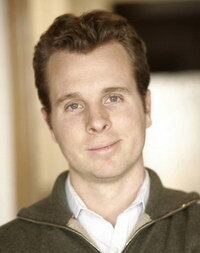 Jamie Siminoff: I don't know, but I do know that the one we have in startup is probably not the one we'll end up with. The reality of the thing, is that there is no one to follow here. This is new territory. There isn't a model of "follow what X company did" to make money. It's tough to get consumers to pay for things, and we're not sure that getting a consumer to pay for a product is a long term way to make money. So, I think, at this point, like lots of startup in technology, we're not too worried about monetization. Instead, we're building a valuable product. I believe that in this space, if what you do is important enough, you will be able to figure out the right way to monetize things. Monetization can get in the way of building something great, and too much focus on monetization, too early often means you can get passed by someone who is more flexible, who is willing to figure it out later. So, with this funding, are you planning any hiring? Jamie Siminoff: We're 100 percent in Los Angeles, based in our office, and don't use contractors or outsourcing. So far, we've filled up--we've been on a hiring binge in the last two months, and are digesting that--however, we'll probably look to hire again in March, April or May. That said, I am always looking for good programmers. I have said I'd mortgage my house to hire an awesome programmer. They're more than welcome to contact me, because we can always add a great programmer.